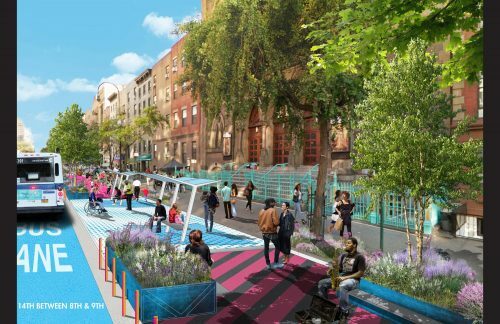 Manhattan Avenue retail is in the midst of a rapid transition and very soon the avenue will be completely transformed into something totally different. 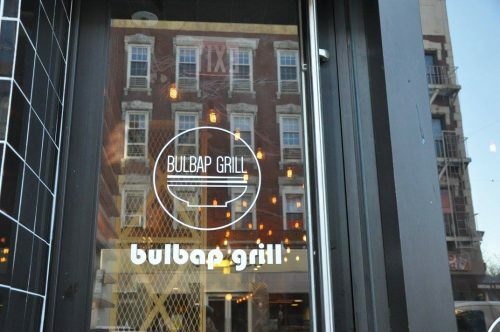 Although there are some stores that have been on the avenue for my entire quarter-century in Greenpoint, a new breed of business is emerging, pushing out older established businesses and giving the avenue a new feel. As we reach the end of 2018, it is good to reflect on both what has remained unchanged, what has disappeared and what new businesses have taken root on the avenue. There are a number of businesses that have deep roots, going back generations. 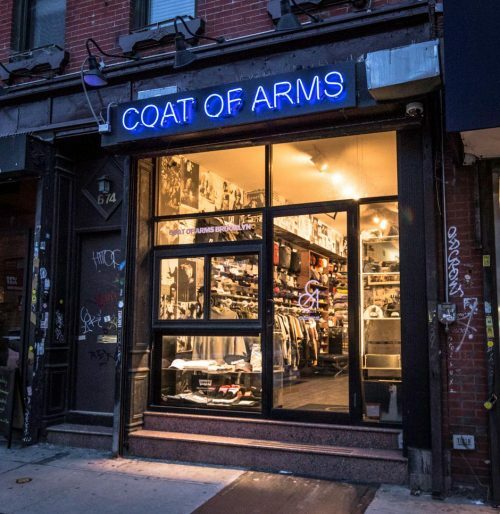 Although the following list is not complete, Cato’s Army and Navy (654 Manhattan Ave.), Peter Pan Donut Shop (727 Manhattan Ave.), the Associated (802 Manhattan ave.) and C Town (953 Manhattan Ave.) supermarkets, McDonalds (904 Manhattan Ave.) and the Triple Decker (695 Manhattan Ave.) come immediately to mind as established institutions. Italy Pizza (788 Manhattan Ave.) and Russ’ Pizza (745 Manhattan Ave.) also have been serving great slices in the area for decades. 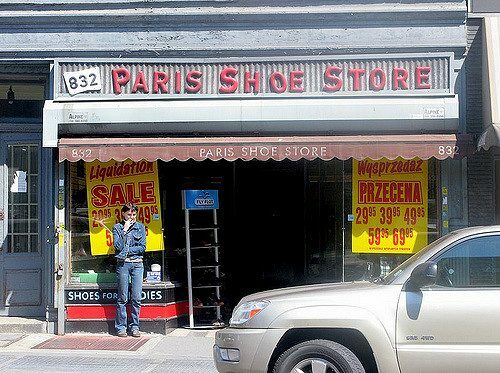 Kiszka Meat Market (915 Manhattan ave.), Irene’s bar (623 Manhattan Ave.) and the Cafe Riviera (830 Manhattan ave.) are other examples of hardy Polish veterans that have changed little in the past 20 years. 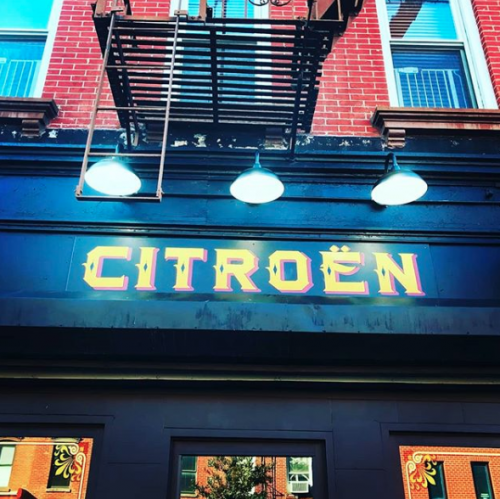 Citroën, Greenpoint’s newest restaurant opening Saturday (11/24) at 931 Manhattan Ave.
Get ready, Manhattan Avenue: another liquor license has been approved. And that license is in good hands — Citroën, the new French bistro at 931 Manhattan Ave. with market-fresh ingredients, has been tantalizing Greenpointers with its unique cocktails on Instagram and leaving those in fear of political discussions around the Thanksgiving table wishing they were saddled up at the new restaurant’s custom-made bar. In fact, much of the decor, chairs, and tables in Citroën — like the menu — is custom-made. 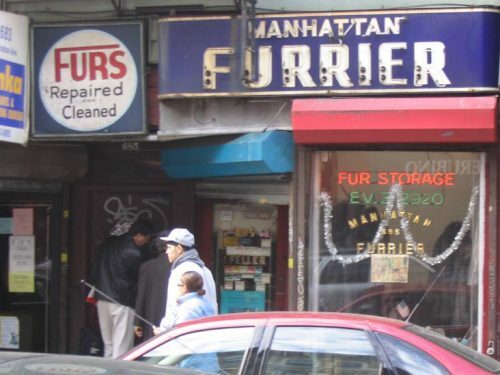 That’s because long-time Brooklynite and kingpin of repurposed goods Craig Kafton is behind these nifty operations. 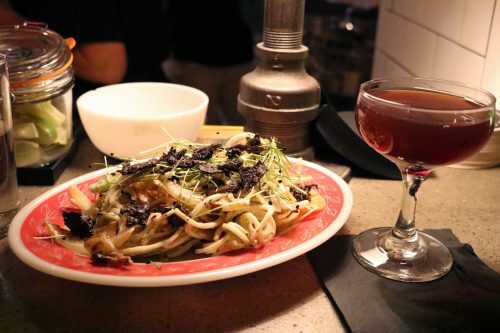 Kafton created a similar experience at Williamsburg’s beloved but now closed Second Stop Café — notice the detail in Citroën’s recycled columns and bespoke tables — including a restored one made from Rosie Perez’ door in her old Brooklyn home. 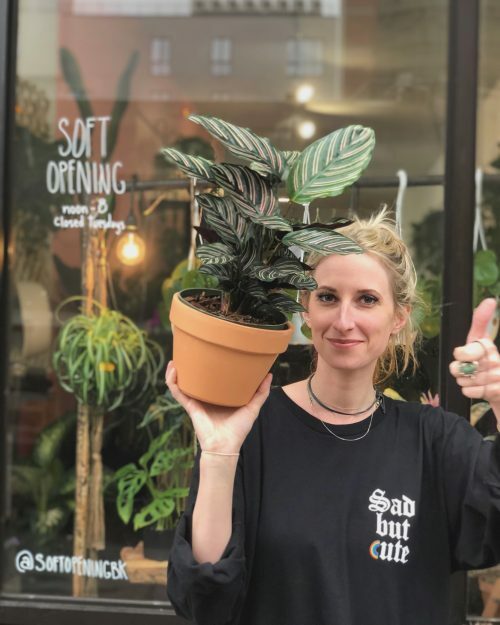 Soft Opening (570 Manhattan Ave.) is one of Greenpoint’s latest additions and offers refuge from the always-on tech world in a thoughtfully curated plant shop abundant with nature you can bring home. You can also catch Soft Opening at the Greenpointers Samhain Fall Market happening this Sunday, Oct. 28. Whether you’re jogging down Franklin Street or getting an early morning spin class in at the Greenpoint YMCA (99 Meserole Ave), or even perhaps flowing through a peaceful sweat at Usha Veda Yoga (1006 Manhattan Ave), the best part of any workout, really, is when you’re done. As you catch your breath and dab away the sweat you get to focus on the next best thing—and no we aren’t talking about an ab sequence to follow or even an extra sprint-mile here—we’re talking post-workout eats! 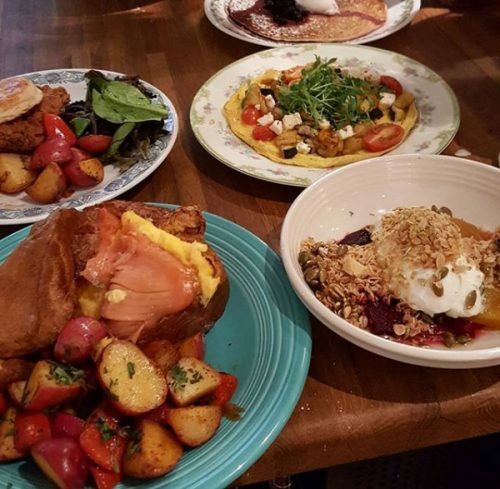 It is time to fuel up, because you deserve it! 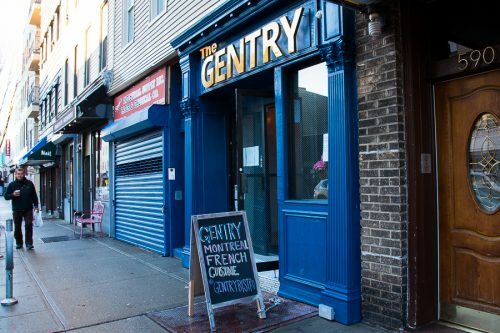 Lucky for us, Greenpoint has almost as many healthy grab n’ go spots as it does dark-lit bars and Polish bakeries. Whether you are getting your sweat on in the early morning or grinding it out after work in the evening, here are the best spots to fuel back up—and not feel bad about being completely sweaty and out of breath. If you are an early riser.